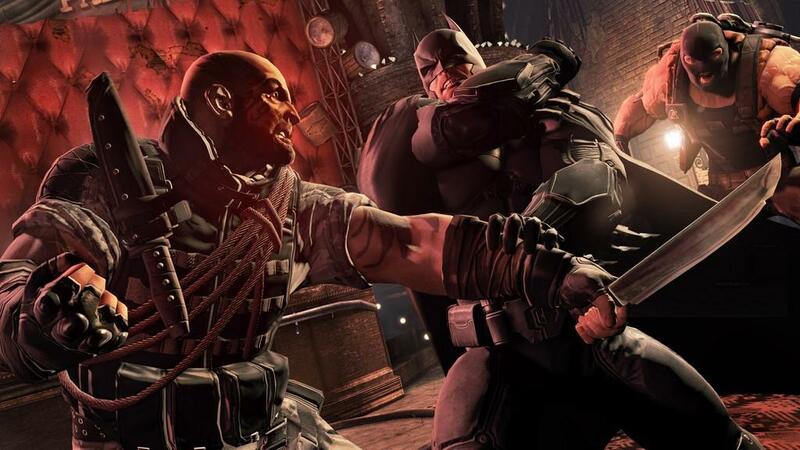 Batman: Arkham Asylum and Batman: Arkham City are easily two of my favorite super hero games of all time. When I heard Warner Bros Montreal would take over the development of Batman: Arkham Origins from Rocksteady, I became skeptical. The hands on demo I played with at E3 eased my concerns a little, but that’s only a small slice of the entire game. 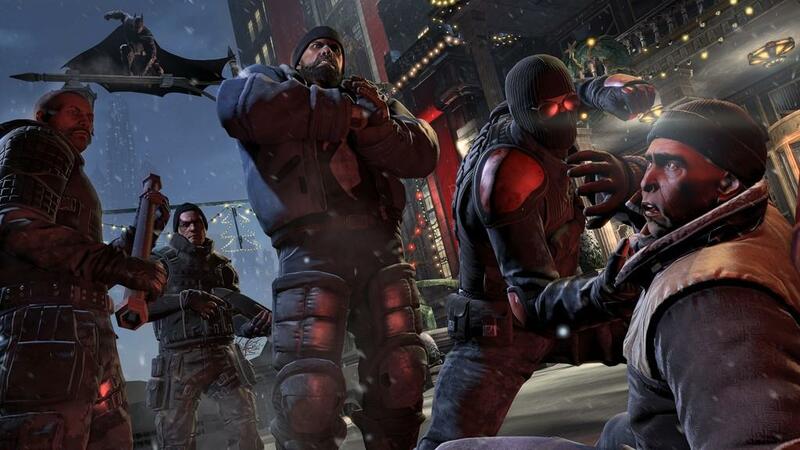 So how good is Arkham Origins? 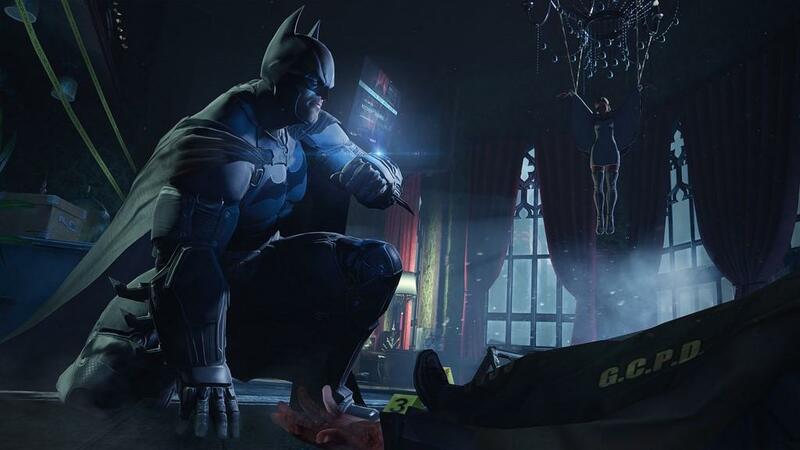 As the title suggests, Arkham Origins takes you to an earlier period of Batman’s crime fighting career. He’s still a somewhat of a mystery to the public, but known well enough to warrant a $50 million bounty on his head on Christmas Eve. Jim Gordon is a detective and doesn’t trust for the Dark Knight quite yet. Origins also features the first encounter with the Joker as well as a little bit on his beginnings as well. The formula should be pretty familiar by now so I won’t go too much detail in things such as the free flowing combat, which is still pretty slick, and the gadgets that are available for Batman. Most are from the previous two games and they act the same here as well. 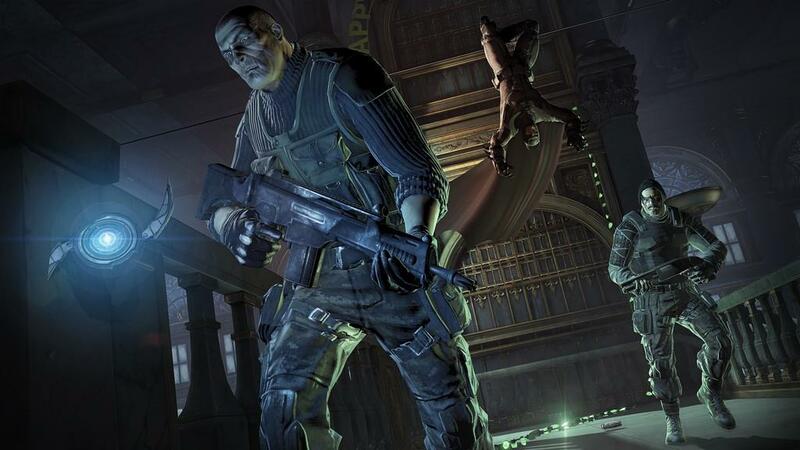 Some of your abilities are available from the beginning such as the grapple, shoot over, and glide that you’ll definitely use a lot to get about Gotham City. A couple new gadgets include the shock gauntlets, which will let you punch through some enemies that normally take a special move to take down. For example, enemies with riot shields normally need Batman to do an air attack to take out. The shock gauntlets lets you bypass that and just punch the criminal without any resistance. The glue grenade, while new, acts pretty much the same as the freeze grenade from the first game allowing you to plug up steam pipes or create a floating pad in water levels. 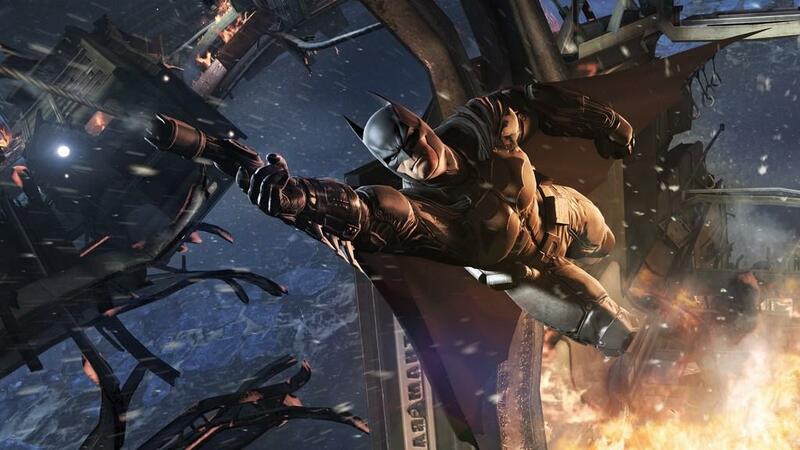 Arkham Origins has added in a fast travel that’s prominent in games like Fallout and Skyrim. While some folks might not like it, it does cut down on some of the long traveling times that players had to deal with in previous games. 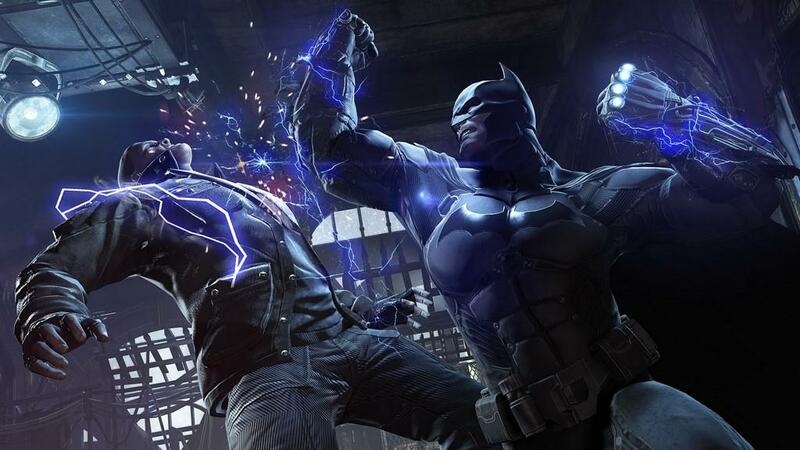 You’ll have to defeat jamming towers in the area you want to fast travel, which happens by Batman grappling up to his Batwing in the sky and flying to the place you want to go to. You can, of course, completely ignore this if you want to do it the old fashioned way, but it’s a nice option to have. The look and style of Batman: Arkham Origins remains pretty close to the previous two iterations with some tightening up of the graphics. The facial expressions are improved over the other two as some of the characters seem more expressive when they talk. I didn't like how Batman seems to look bulkier in Origins and I was on the fence of his muscular physique in the previous two games. Origins, I think, takes it a step too far with his build, but that’s a minor annoyance. Recurring characters get a minor redesign. The Joker looks more menacing while Killer Croc has a leaner look to him. The Penguin’s a little fatter and less bald than he was in Arkham City. Harley’s not in her outfit yet in this game, but makes an appearance as a psychiatrist meeting with the Joker for the first time. It’s good to see some changes in the characters and if you were a fan of the design in the previous two games, you’ll like what they did for Origins. 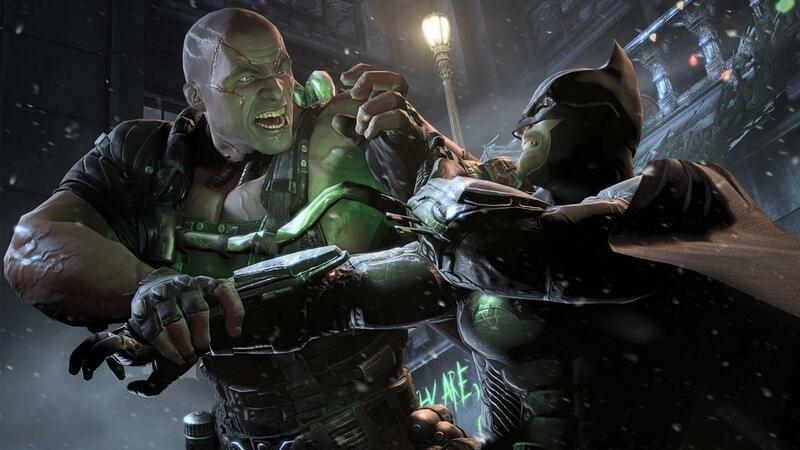 Batman and Joker have new voice actors in Origins, having replaced two great talents in Kevin Conroy and Mark Hamill. Roger Craig Smith’s portrayal of Bruce Wayne and Batman sounds like a little younger Kevin Conroy and he fills in admirably for the long time talent. Troy Baker absolutely kills it as the Joker, with a performance that rivals Mr. Hamill. If Mark is indeed retired from ever voicing the Joker again, Troy Baker’s turn in Origins shows that the character is in great hands. The rest of the cast is solid as well, but Troy is the one that truly stood out among the crowd. 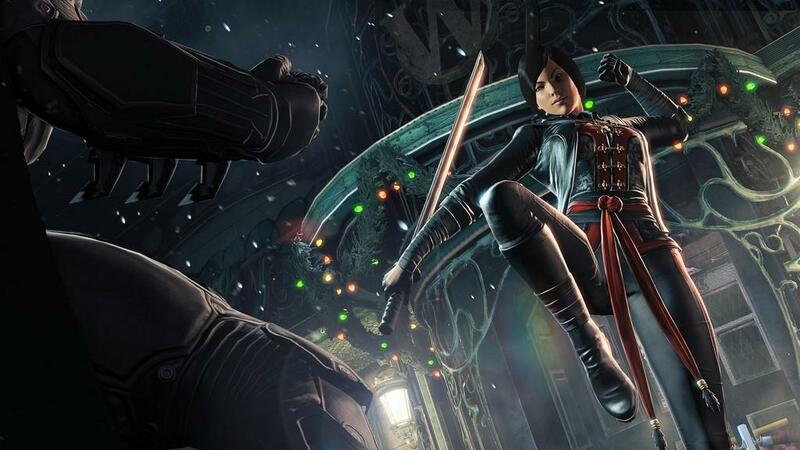 The story in Arkham Origins is, for the most part, good and I did have a good time with some of the boss fights. Each of the assassin encounters is a little different, with Firefly's being one that stands out. Now, there can be some frustrating scenarios, such as the fight with Deathstroke and Copperhead. The various Bane encounters can also get annoying if you aren't patient. You can also finish the main story line without meeting up with an assassin or two as I never once met with Deadshot before the end. But overall, I liked seeing some of the character's early in their "careers". It took about eight hours to finish the campaign, but like the previous games, you can continue playing and finish off the many side quests that are available. However, I didn't like how Gotham was portrayed. Even though it is Christmas Eve, there are practically no citizens that wander around as the entire area is populated by criminals or law enforcement tasked to take you down. 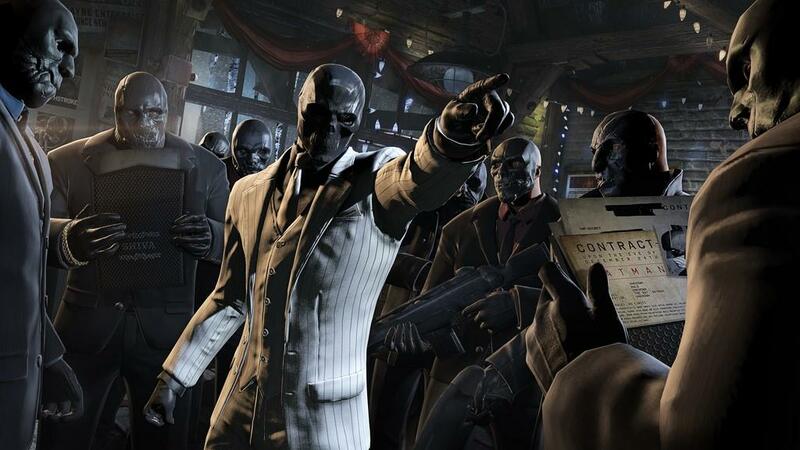 It feels exactly like Arkham City, which is a shame. I would’ve liked to have experienced something different and I thought I would with the game set in Gotham, but alas, the setting seemed all too familiar with encounters at every turn. A new feature tries to offer you more of a chance to be a detective though. At certain points, you can examine crime scenes and rebuild the action that took place there. You can rewind or fast forward parts of the event and each piece you find adds more of the what happened to review. It's not hard to gather all the evidence together, but it does add a small bit of new gameplay to the series and the way the action is played out does look pretty cool at times. I played the game on an Intel i7-4770K with a NVIDIA GeForce GTX 780 pairing it up with a GeForce GTX 650Ti as a PhysX card and turned everything on as high as possible as well as enabling DirectX 11 features. The PhysX features give it such a great look with volumetric fog that react to characters walking through it and cloth effects in banners and Batman’s cape. If you have the setup, I highly recommend you turning them on if it doesn’t hamper your frame rate. That said, I found some instances where the game did stutter and lag, which I’ve read from others isn’t out of the ordinary even with lesser settings. I hope a patch can come out to smooth some of these areas since they didn’t appear enough to warrant a concern, but just enough to take you out of the game for a bit. I did encounter a few bugs where I had to either restart the game or just restart the level and avoid that area. One involved leaving a ship after an encounter with the Penguin. One of the exit doors just refused to open no matter what I did. A reload of the game allowed me to finally get through the door, but this was after a good 15 minutes of me trying to find another way out only to watch a video online and see that the glitched door was indeed the only way past the level. Another bug I ran into involved getting trapped in a room after hacking a comm tower that prevented you from fast traveling. The only way out of the comm tower is through this vent high on a wall in the room. After removing the vent grate, you’re suppose to grapple to it and crawl through, like many other vents in the game. For some reason, in my game, Batman would repel up and get stuck hanging in front of the vent opening. There’s no other way out of the room and I was forced to reload and avoid that comm tower, which prevented me from fast traveling to that area. It seems the bug is also on the console version as well. There are other bugs that appeared that, while aren't game breakers, were pretty annoying. My final battle with Bane took longer than expected because there were a few points where he would just spin around in circles. Since I had to attack him from behind, there was never an opportunity to get a clean shot on him. I also ran into some thugs who were stuck in walls or didn't move at all even when I stood right in front of them. I never experienced the amount of bugs in the previous two games that I had here, which I hope Warner Bros Montreal can fix in a timely manner. Even though there are some new things thrown in, I can’t help but feel like Batman: Arkham Origins is a large DLC for Arkham City. In a sense, that’s not a bad thing as I really enjoyed Arkham City, but many features in Origins seemed recycled from the previous game such as finding all the Enigma objects, the location being similar to Arkham City, and the gadgets available. Combine that with the many bugs I found during the game, Batman: Arkham Origins is an OK follow up to two really good efforts by Rocksteady. The PC version looked gorgeous with everything turned on and I highly recommend playing on the computer if you have the machine to do it. 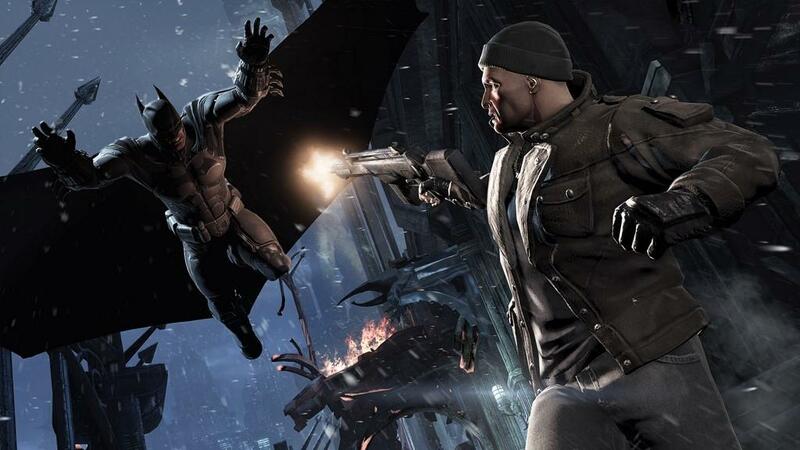 Those that liked the previous two games should enjoy the third installment, but there’ll probably a feeling of wanting more with Batman’s third outing. An OK effort for an Arkham game, Batman Arkham Origins feels too similar to Arkham City and there are a few game breaking bugs that prevent it from being worthy to stand with the other two.